We all need our little oasis where we could sit, relax and be still until we hear our heart murmur. Until we can feel our breathe under our nostrils and the stillness around us whisper into our ear like soothing music. 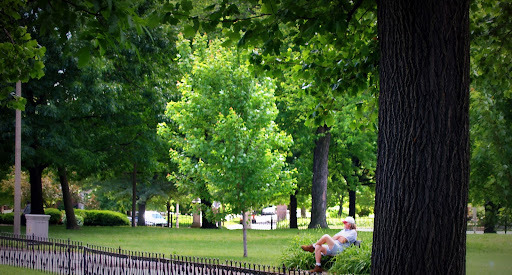 It's calming, almost magical... we feel renewed, and the best thing is that it's free. I used to have my own little oasis in San Diego. This place is where I go to when I feel like I'm carrying the burden of the world. I sit and marvel at nature's beauty... The mystic sound of the ocean resonate like music from the frets of a guitar ... while the sun's gentle rays and the subtle breeze caress me until I have calmed down and feel warm and fuzzy inside. The bonus is this seaside spot was only 5 minutes away from where I lived. 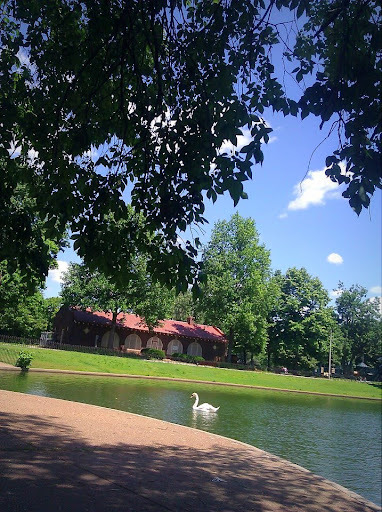 So I am euphoric when here in STL I found my new "home". There's a secret garden that revealed itself to me slowly. It is a serene garden hideaway. 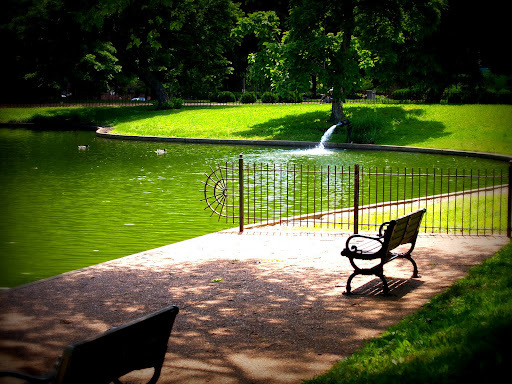 Slowly I realize that beneath the lush green leaves, there is a small pond and down the steps, it reveals itself. Oh how serendipitous indeed! I heard my heart sing! While it's true that the terrain in California is a lot different from St. Louis, I believe that I have to embrace my neighborhood and most importantly make it my own. 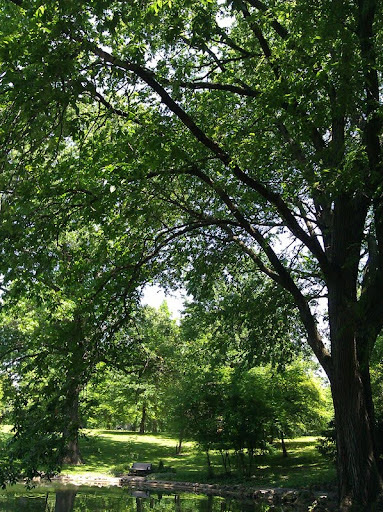 Although I miss the spring flowers and the Pacific Ocean in San Diego, I also found a beautiful place in St. Louis. I see GREEN: green lush trees, green ponds, green grass...everything glowing GREEN! So for my glowing green season inspired dish, pandan leaves came in handy for me to whip up a dessert called Buko Pandan, a refreshing sweet dessert made of pandan jello and buko (young coconut) laced with the creamy goodness of cream cheese and condensed milk. The trifecta of the jello, buko and cream will reveal a beautiful symphony of goodness in your mouth. Trust me, your feel good hormones will kick in, haha! Thaw out packs of frozen buko. Drain and set aside. Prepare the jello as per package instructions. When boiling water, put the pandan leaves, then add the jello. 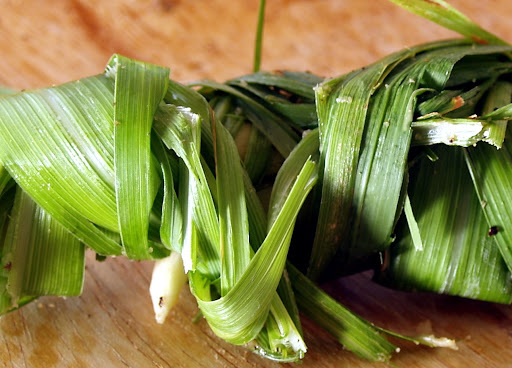 Remove pandan leaves and pour the jello in a flat pan. Let it cool. When the jello solidifies, slice the pandan jello into small cubes. Mix the condensed milk, cream cheese and heavy cream together. Add buko pandan jello and nata de coco . Gently mix the salad altogether. Refrigerate before serving. I hope you have enjoyed touring around my piece of heaven... may you find yours! I think this Buku Pandan could be my oasis! My that looks welcoming! I do what you do Malou - I have always found an oasis. Sometimes a different one for each season - but it really helps to center yourself in a place of natural beauty. i'm glad you found yours too Claudia. We all need one. a bowl of buko pandan is bliss. Another post favorite. I love looking at your pictures on facebook and in fact saw this one too. You should start sharing a post about your "insightful" pictures. 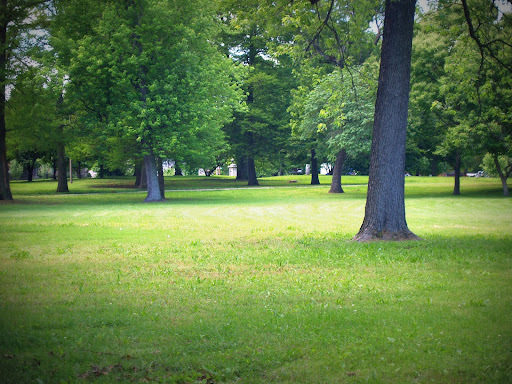 I like the fork in the park picture too. Im just a fan and I thought you neededd to know. I'm so glad you are with me in my muni muni pictures. I thought maybe I will take your idea and make Silent Sunday perhaps? How does that sound? perfect name for a muni muni sunday. DO IT! haha demanding ME no? What wonderful, peaceful sights to behold! Who knew they could be found in STL? 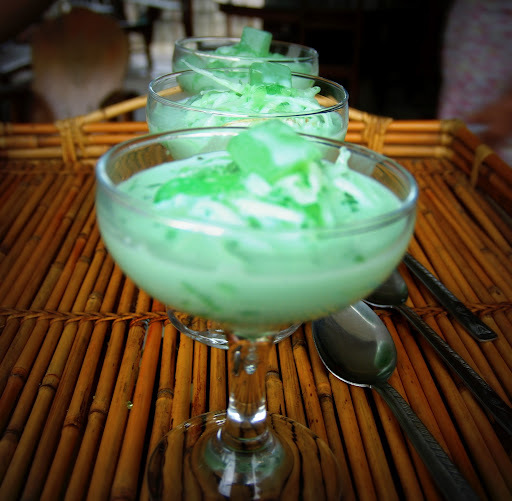 And this buko pandan is one of my absolute favorite desserts. Your version seems better than my quick instant attempts here at home. I must try yours next time my kids are home. Thanks for sharing & for the blog-love,Malou! Thanks for dropping by, you've missed around here haha. have a great day! when you mentioned tugue, i thought where did i go when i was there? i thought i had so many places of solace there. and then i thought maybe it's because it's my HOME... so I didn't need a place tucked somewhere as my oasis... there's a natural feeling of being HOME and content when im in tugue. every corner be it at church, in the farm or just at home with my mom... those places took me to serenity! and oh, of course in UP there are so many areas there. I wonder if sunken garden still exist? that was a place we would sit down before. thank you so much for being here with me in my journey... and it was really great seeing you in person! yes, ms Malou... the sunken garden is still there... still believed to be sinking a few inches every year... haha! I was really thrilled meeting you and even more so dining with you. It was amazing to witness first hand your passion for great food and see you enjoy it with good company. That memory makes your posts come alive every time I read any of them. Sunken garden, funny how the name live up to its name then huh? (if it's sinking every year haha) but there lie so many couples in love too I remember haha. I wish we just didn't meet once because I thought I wasn't in my normal self that night because of a previous "meeting" with an old friend. haha but I'm happy though that I didn't give a hint of what took place before our dinner or did I hahaha? I wish you well Ms. Sandy. More success in all your undertakings. Susan talks so greatly of you and I now see why. Keep it up! Pretty pictures! 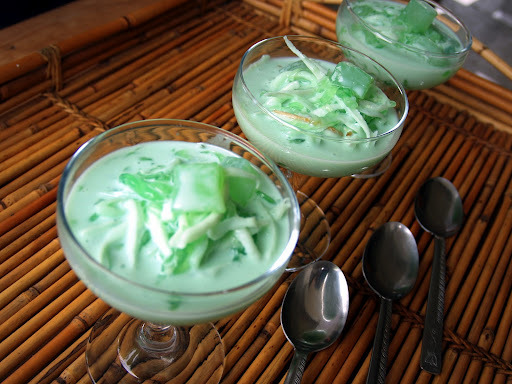 And the Buko Pandan looks spectacular (and has great color!). I've never had that, but it looks really tasty. Good post - thanks. Glad you enjoyed the pictures and yes it's definitely a sweet deal of a dessert! I was just in the Philippines the other week and this is making my mouth water! *drool* I think I've found my new favourite blog. LOL! aww thank you Christine. you are now my new BFF haha. great to "meet" you! I am GREEN with envy. It looks wonderful there in STL. I need to make Buko Pandan soon now that I've seen yours and Jun's posts. I miss you my friend. Lelet for sure would love this!! But, Lou, yes, i do have little nooks and cranies in my head i go to when I need to! 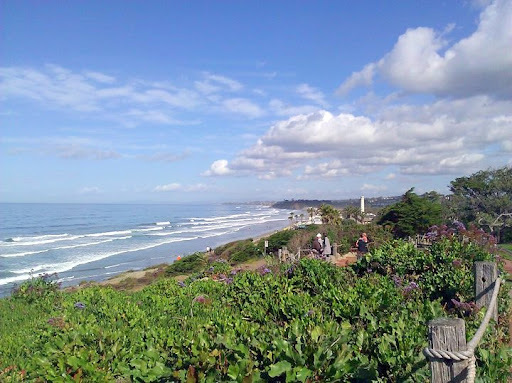 Malou-such gorgeous photos of San Diego, and St. Louis. 2 totally different places, and cultures. Your dessert is awesome, and blends in with the St.Louis "greens"...thanks for sharing your lovely photos, and dessert! totally different so i look at it as a blessing being able to experience both worlds. have a great week! It's really a piece of heaven! A beautiful nook - lush garden and pond - really calms the senses with its postcard beauty and a place where negative ions abound that leaves you feeling relaxed and refreshed after each visit. 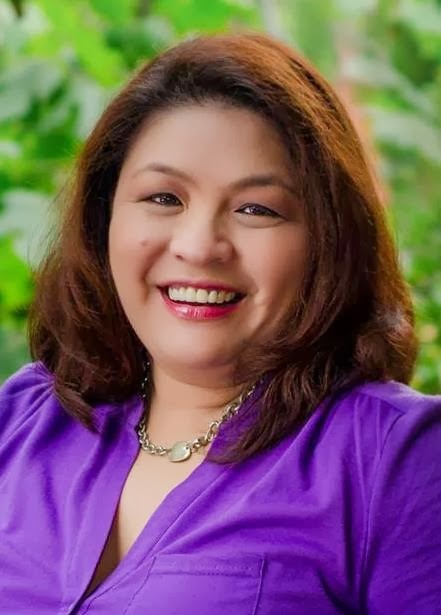 You're so blessed, Malou, to have such a place in the neighborhood! hi there...i am just bummed tho that today, i injured myself so my walking to the park has been shelved for the next few days. but i will soon be there and share more pictures as i go... and as season passes by. Thank you Charlie! Pandan gives a refreshing flavor and aroma to the dessert... and yes it turns the dessert green too (haha) which makes it more appealing! What a gorgeous piece of heaven!! Very peaceful indeed. I'm so happy you found a new special place. 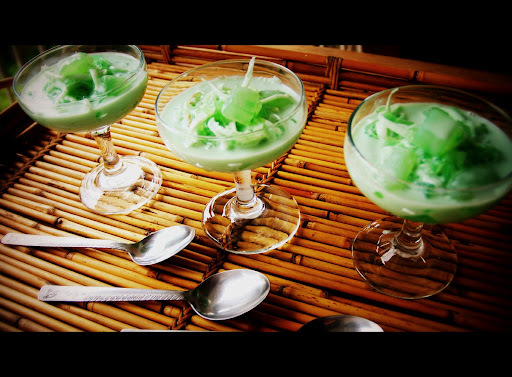 What an interesting dish Buko Pandan is! I told my husband this morning that I almost missed the beauty of this nook had i not stopped and appreciate all that surrounds me. I'd like to share your Buko Pandan which I just tried and was super sarap, in FB but apparently I could not, sorry for my moronic PC knowledge. Buko Pandan was soooo goood! 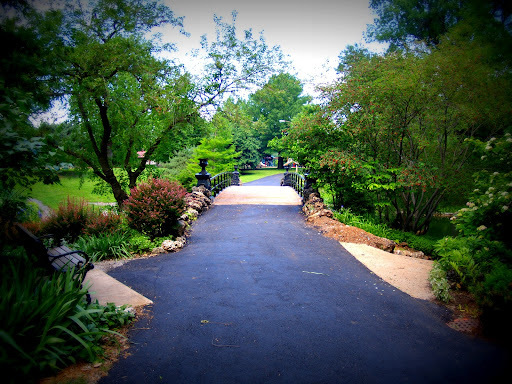 Whatever marvelous, calming attractions towards behold! What individuals assumed they are often used in STL? That buko panda might be undoubtedly one of your positively most desired candy. A variety seems to be compatible with your instant easy quest only at residential. I must make an effort joining your down line the next occasion your teenagers are actually residential. Thanks a lot for the purpose of showing & for ones blog-love, Alou!